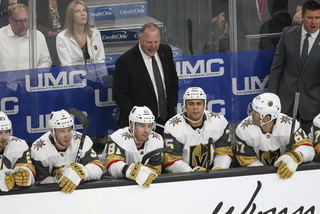 Vegas already has made history this year at the betting windows, where its regular-season point total opened at 96½ at the Westgate before soaring to 101½. 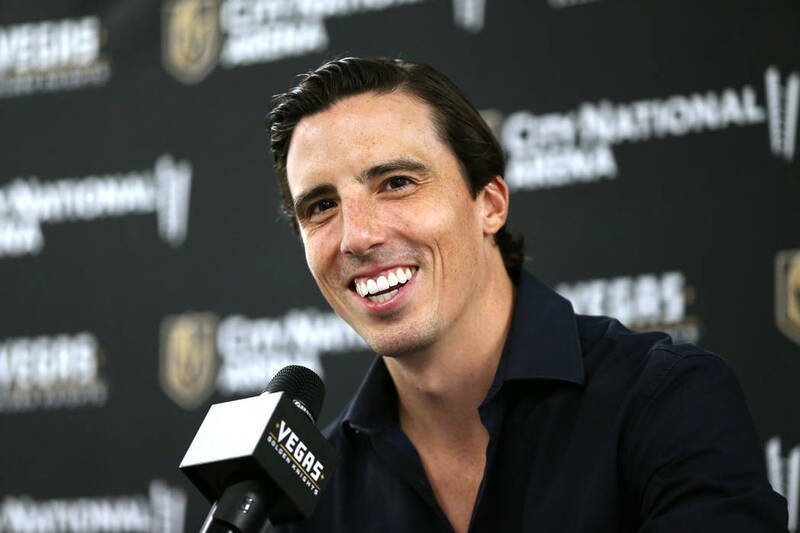 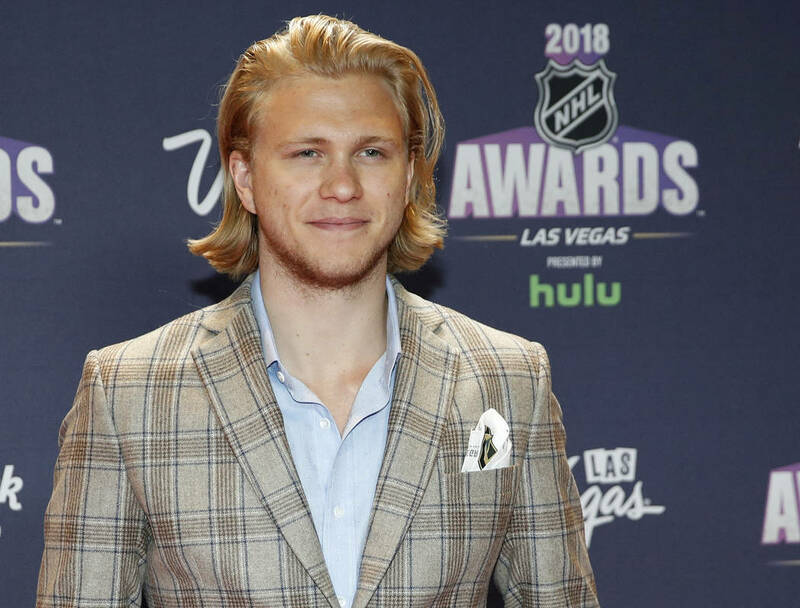 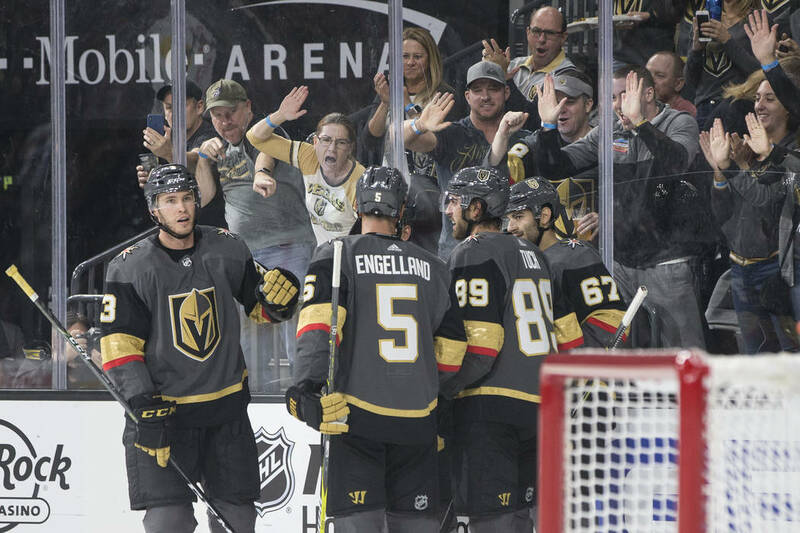 Long shots no longer, the Golden Knights are again the NHL betting darlings entering their second season. 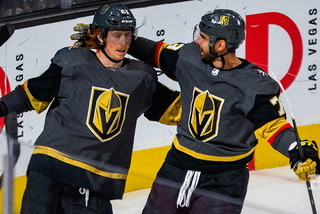 Vegas, which was a 500-1 shot to win the Stanley Cup in its inaugural season, is the 8-1 co-favorite at William Hill sports book to win the 2018-19 title and the 8-1 second choice at the Westgate sports book. 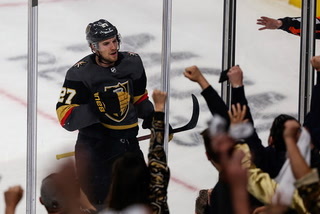 In losing to the Capitals in five games in the Stanley Cup Final, the Knights fell just short in their quest to write arguably the most incredible underdog tale in pro sports history. 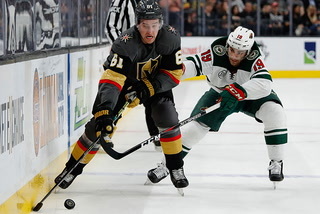 But Vegas already has made history this year at the betting windows, where its regular-season point total opened at 96½ at the Westgate before soaring to 101½. 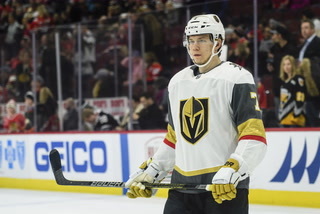 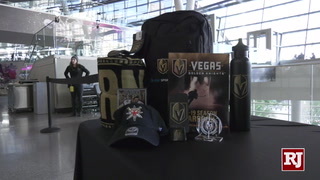 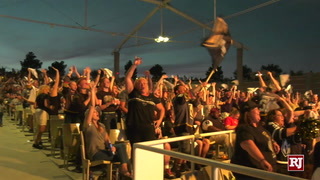 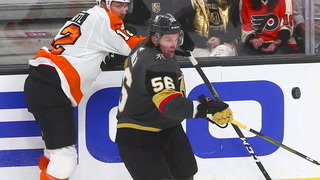 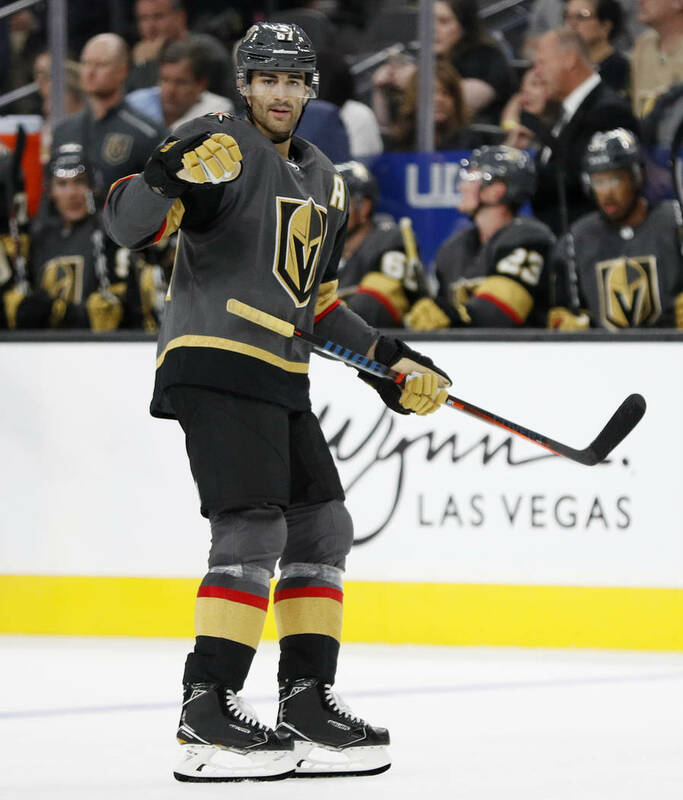 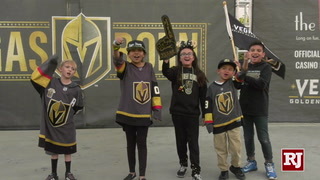 The Knights’ point total increased to 98½ after they acquired high-scoring forward Max Pacioretty and then shot up from there before settling at 100½. 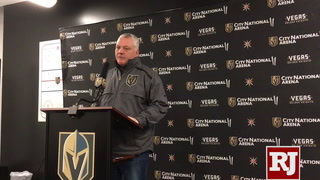 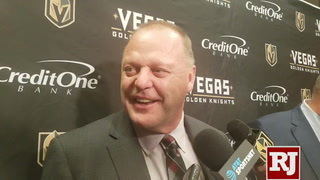 The Knights went 51-24-7 last season to finish with 109 points, but Las Vegas oddsmakers expect some regression this season. 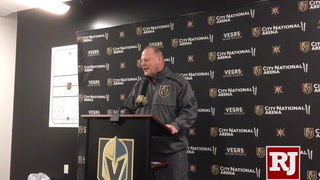 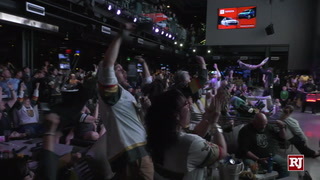 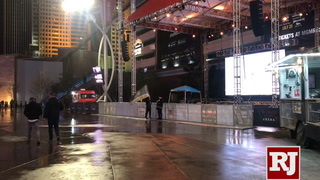 “Achieving last year’s point total might be a little difficult,” Sunset Station sports book director Chuck Esposito said. 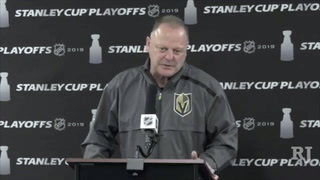 “Just because they’re not going to take teams by surprise and it’s always difficult to repeat. 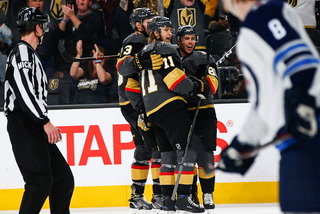 Vegas is the 4-1 favorite to win the West and the 7-4 favorite to win the Pacific Division. 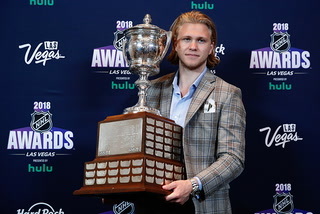 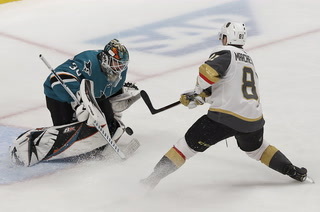 The Sharks are the 9-4 second choice to win the division after adding two-time Norris Trophy-winning defenseman Erik Karlsson. 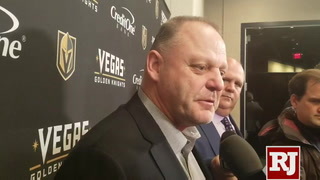 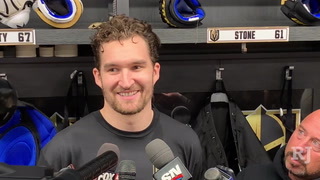 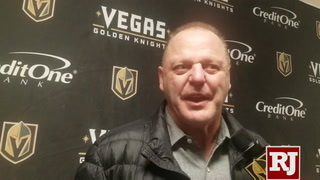 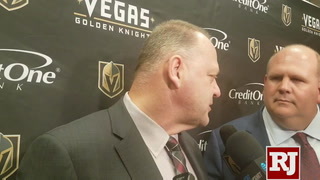 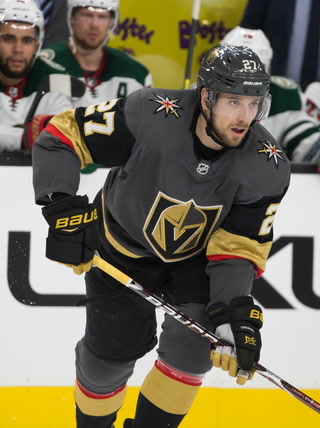 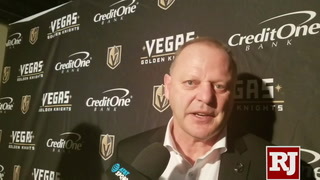 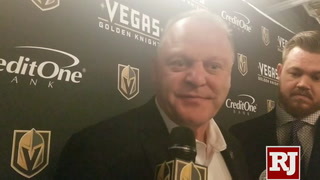 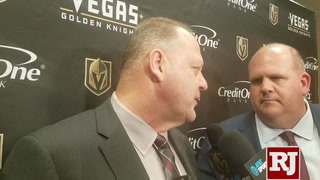 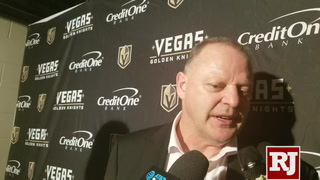 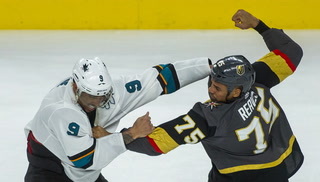 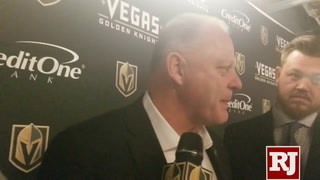 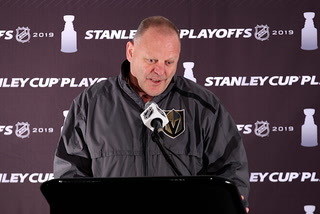 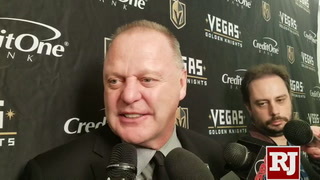 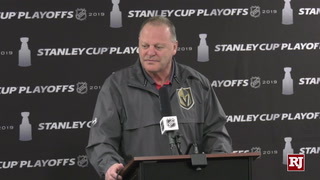 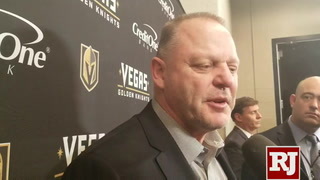 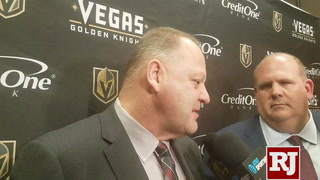 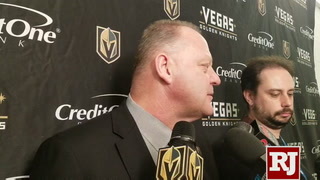 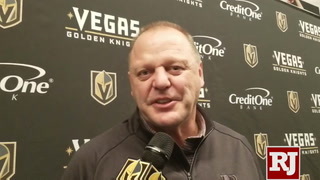 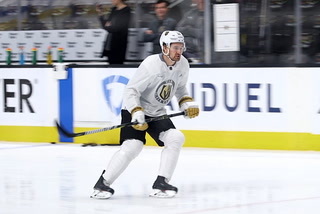 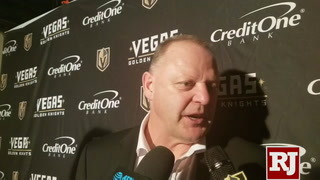 “With the moves Vegas and San Jose made, you see separation in the Pacific Division with those two standing out on top,” Sherman said. 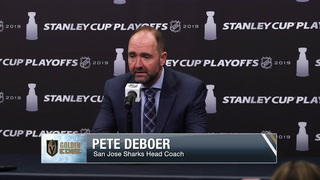 Handicapper Alex Smith likes the Sharks to go over their point total (101½) and win the division. 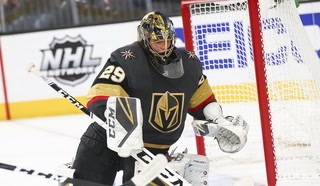 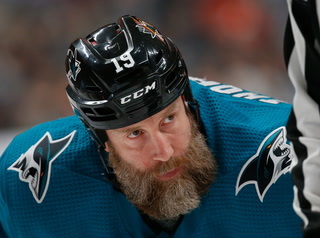 Handicapper Dana Lane gives the Knights the edge over the Sharks in the West. 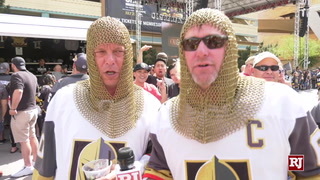 Lane and Smith both predict 7-1 favorite Tampa Bay will win the Stanley Cup. 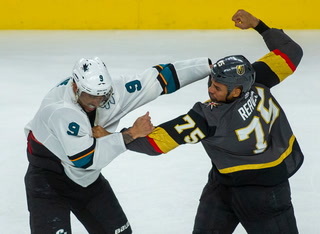 Smith has the Lightning beating the Sharks in the Final, while Lane has them topping Winnipeg. 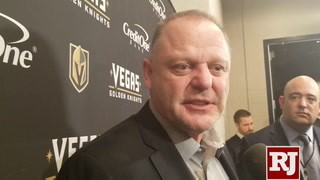 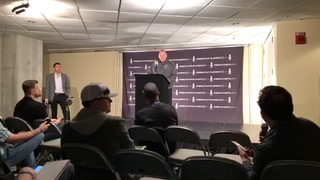 “You have to be careful of a team like Winnipeg, which is going to be very hungry after getting beat in the conference finals last year,” Lane said. 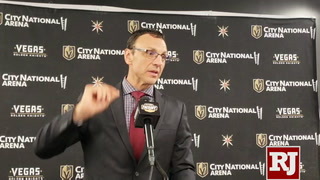 Lane’s best bet is on Washington to go under its point total of 97½. 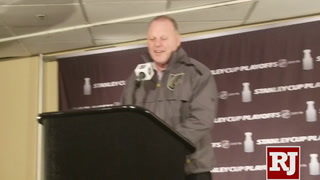 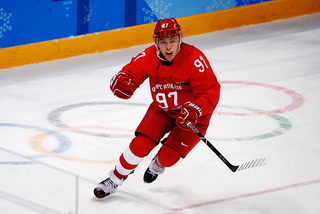 He expects the Capitals to suffer from a raging Stanley Cup hangover. 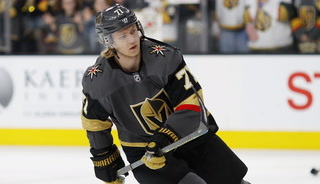 Smith’s top total play is on the Devils to go over 91½ points. 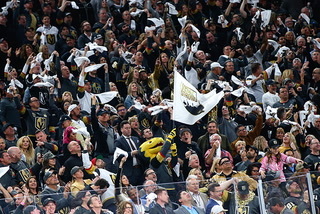 For Stanley Cup sleepers, Lane suggests taking a shot on the Colorado Avalanche at 40-1.